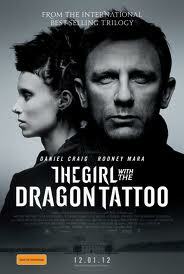 The Girl with the Dragon Tattoo: Watch the 8 minute trailer. 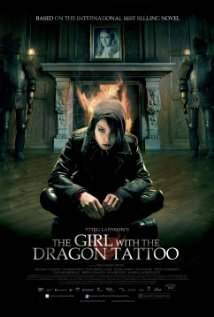 I'm counting down the days until my son comes home from college (16) AND The Girl with the Dragon Tattoo comes out (18). Hoping to see it together! In the meantime, I can watch and rewatch the 8 minute trailer they've just put out on iTunes. It's an extended trailer - one that selected audiences like critics have been seeing - that they've just released exclusively to iTunes for the time being. Should it get a whopping SPOILER ALERT warning? I've read Stieg Larsson's book, and seen Neils Arden Oplev's version so it's a tough call for me but there's a moment revealed in the trailer that a virgin viewer might not see coming. Do you know what it is?